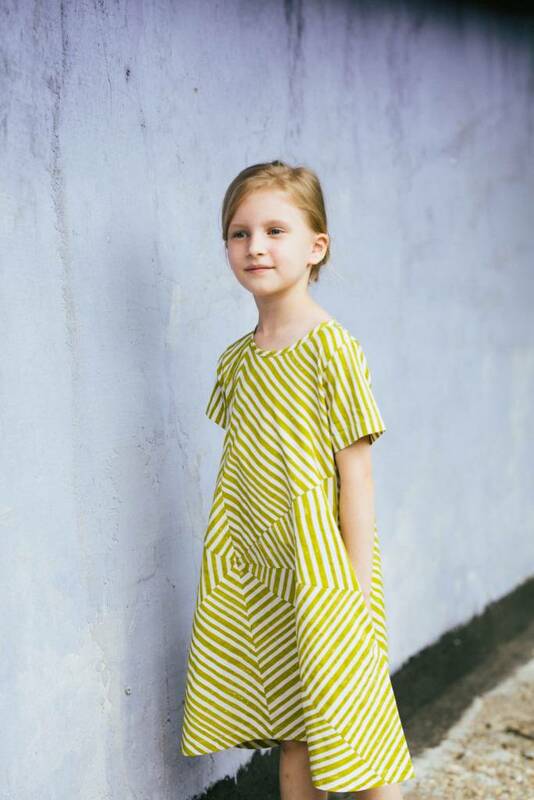 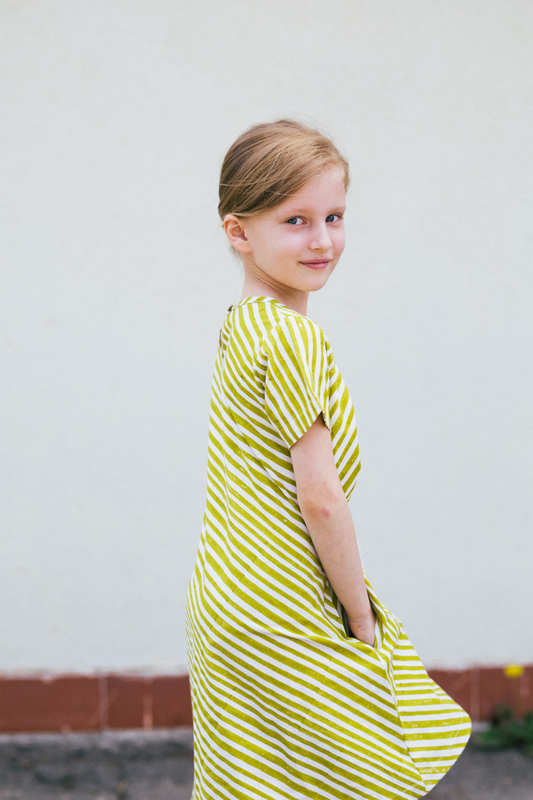 Converging stripe block print dress in organic cotton poplin, neck opening includes a back keyhole button and pockets in side seams. 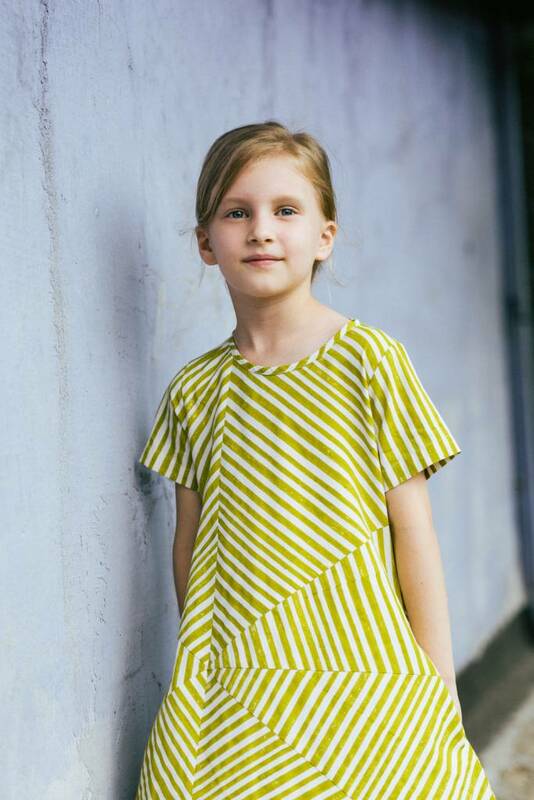 The Kin ‘Winona Dress’ features our striped wood block print which explores converging seams that form a range of geometries. Made from a crisp 100% cotton poplin fabric. 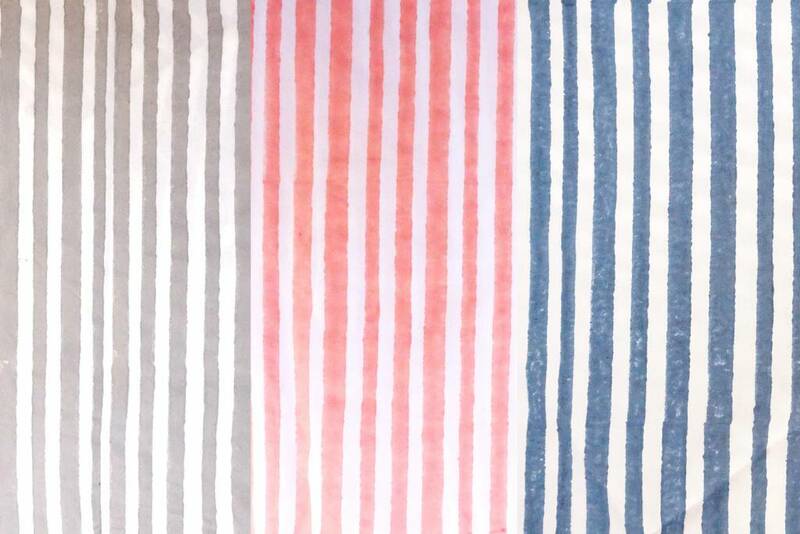 Colourways: Natural + indigo stripe block-print, Natural + grey stripe block-print.